Citrus General Discussion / Best mandarin recommendations? I have a satsuma tree already. Would like to get a few more trees. Was thinking gold nugget and maybe dekopon/sumo. What do the experts say? Walter anderson had about 8 different types. Algerian, honey, gold nugget not sure what else. And there is clausons. Please I would like suggestions on best mandatins to grow inland san diego. I have a 2 year old hass tree that had a half dozen or so fruits on it. Wasnt planning to start picking them for another couple months but they have started falling off the tree. The do ripen and taste great but they all have a pit that sticks to the flesh. They are not splitting and coming in half easily. There is a hard part still in the flesh connected to the pit. 2 questions. Is the tree dropping fruit because it is just immature? I suspect that is the case. We had a heatwave here also and the old leaves are shedding and the trees are blooming. The second question is whats going on with the seeds and the bad flesh sticking to the pit? Hopefully this goes away when yhe fruits hang longer or I will probably end up taking the tree out or regrafting it. Temperate Fruit Discussion / Cherries in San Diego? What verieties grow well here? They said lapins at walter anderson nursery but the tag says 400 chill hours. I don't know if we get that much chill here. Tropical Fruit Discussion / Vanilla Bean Plant? Is it a tropical? Anyone growing vanilla? We were going to buy some good vanilla for home made ice cream and its $$$$. Ive got a bunch of citrus trees, they all look good and make fruit except one. 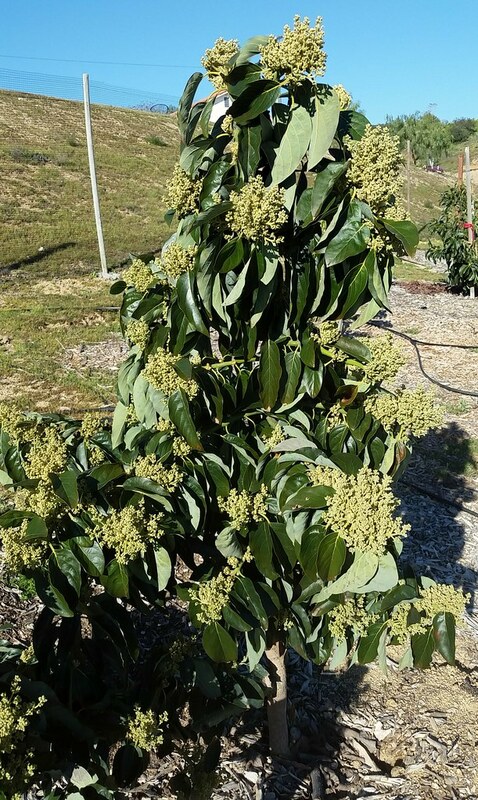 Its a naval orange tree that is big and healthy but no fruits. I dont think it flowered at all this year. Its 8 or 10ft tall. Im the second owner of this tree so I dont know if it ever made oranges. Is there a teick to make it fruit? Put a nail in the trunk? Chemicals? 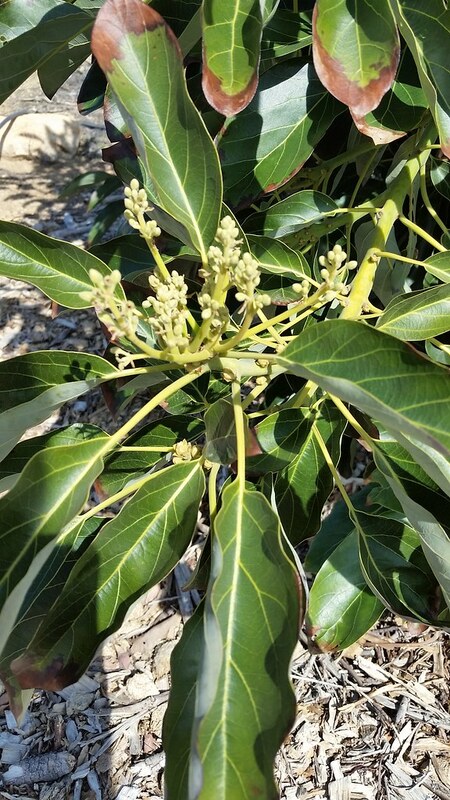 Tropical Fruit Discussion / Avocados flowering in December? Im afraid a cold snap will come and ruin this years fruit set. Is this normal or am I in trouble? Tropical Fruit Discussion / Is this a cherimoya? I bought this from the farmers market today. Its 2lbs and cost 10$ so Im hoping its good. 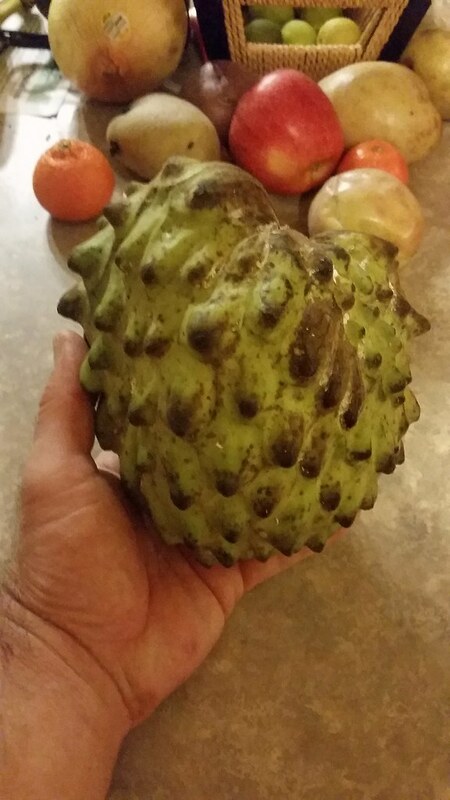 The guy who sold it to me said it was a guavana or guabana but he had a strong mexican accect so I couldnt tell if he was saying its a cherimoya or its a close relative. Any ideas what it is? Would it be worth saving seeds? Can the seeds be dried out and saved or do they need to be grown right away? Tropical Fruit Discussion / Top these cherimoyas? Picked up these 2 herimoya trees at Lowes today. 35$ each. One is labeled "vietnamese" and the other is a "honeyheart". Question: is it ok to go ahead and top them now? I probably wont plant them for a few months. They are just one stick now. They look like they need to be topped. What do you guys say? Hello, I just found this forum while trying to find info on growing mangos and other tropical fruit trees for my area. I have a 10 acre property with well water that is on the east end of Poway. 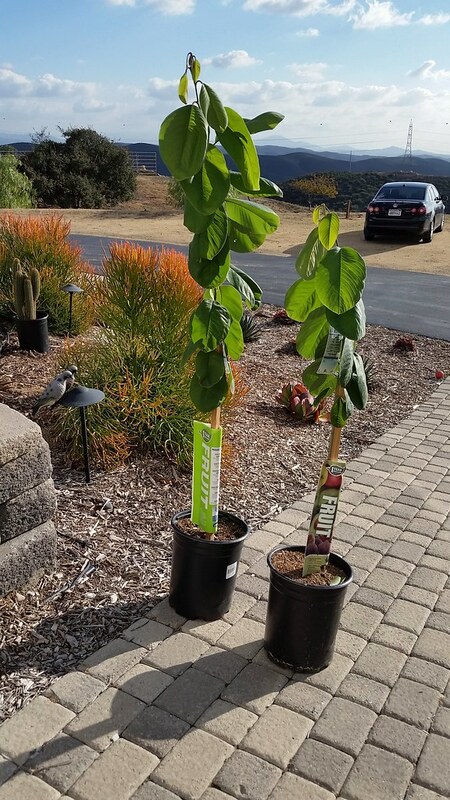 We have planted 18 avocado trees and they are doing awesome. We also put in 3 guavas, 2 cherimoyas, loquat, and 1 manilla mango tree. We want to put in more mango trees but need help with what veriety will grow here and where to find them. Can anyone make any suggestions on mango types. Or anything else I should be growing? We are on a large hill at 1200 ft and the soil is all DG.